The flexibility of the shoulder joint enables movement and rotation of the arms to the front, side, above, and behind the body. As such, the shoulder is subject to instability, injury, and shoulder pain. This is particularly true of the rotator cuff, the group of muscles and tendons that connect the upper arm to the shoulder blade. Rotator cuff injuries account for more than 60% of all shoulder-related hospital visits. Under the direction of Dr. Alwin Almeida, Senior Surgeon, Orthopedics and Joint Replacement Surgery, Health City Cayman Islands’ patients are now experiencing freedom from shoulder pain and increased mobility as a result of the surgical care they received from our team of world-class orthopedic surgeons. Our extensive knowledge encompasses the most innovative technologies, such as computer navigation for joint replacements and cutting-edge medical devices that promote optimal patient results. In most cases, nonsurgical treatment is administered before surgery is considered. About 90% of people with arthritis and traumatic injury find relief through conservative treatment approaches including anti-inflammatory medications, physical therapy, cortisone injections, icing, and moist heat. If conservative treatment options prove ineffective, shoulder arthroplasty is an option, during which damaged parts of the shoulder are removed and replaced with artificial components. Surgical treatment of arthritis of the shoulder is generally very effective in reducing pain and restoring motion. Health City Cayman Islands provides minimally invasive procedures that address pain and limited movement related to shoulder conditions and injuries. Through surgical reconstruction and partial or total shoulder replacement, our orthopedic surgeons help optimize motion and stability of the shoulder joint. Some of the procedures performed include Bankart and SLAP tear surgery, Latarjet and Mumford procedures, treatments for stiff frozen shoulder, nerve decompression and more. Arthroscopy is frequently indicated for injuries that involve the surrounding tissues, such as injury to the rotator cuff or a labral tear. This is a minimally invasive procedure in which a tiny camera (arthroscope) is inserted into the shoulder joint in order to diagnose and treat conditions. This is a minimally invasive procedure in which a tiny camera is inserted into the shoulder joint in order to diagnose conditions, such as injuries to the rotator cuff, other tendon and ligament tears, and osteoarthritis. Compared to x-rays, this procedure yields a great deal of useful information about underlying pathology of the shoulder joint since the structures can be directly visualized. Arthroscopic Bankart repair: This is a procedure used to repair damage to the rim of cartilage around the shoulder socket, called the labrum. During this procedure, ligaments are reattached, tears are repaired, and dislocations in the shoulder are fixed. Arthroscopic remplissage: Remplissage means to fill in in French, and this procedure is usually done at the same time as a Bankart Repair. During this procedure, a lesion is filled in by stitching part of the rotator cuff muscle and the shoulder capsule into the indention. This can usually prevent further dislocations because the top of the upper arm bone is restored to a more normal shape. Latarjet procedure: If the bone and the labrum have both been damaged, a cuff of cartilage and small bone graft can be used to repair the socket. The small bone graft is often taken from another part of the shoulder blade. The Latarjet procedure is used to treat recurrent shoulder dislocations, typically caused by bone loss or fracture. This procedure is a suitable option for shoulder reconstruction in athletes participating in contact sports, patients with increased shoulder laxity, failed previous shoulder reconstructions, or if there is significant bone damage. Arthroscopic labral tear repair, biceps tenotomy/tendodesis: These procedures are commonly used to treat injuries sustained by athletes who use repetitive overhand motions. Overhand throwing places very high stress on the shoulder, especially to the parts that keep the shoulder stable. This can lead to a wide range of overuse injuries sustained to the labrum, the rim of strong, fibrous tissue in the shoulder joint. The labrum helps to stabilize the shoulder joint and is the attachment point for many of the ligaments of the shoulder. When the labrum is torn, minimally invasive surgery is used to repair the tear. Occasionally, the damage to the tendon caused by tendonitis can result in a tear. A torn biceps tendon may cause a sudden, sharp pain in the upper arm and a popping or snapping noise. In a tenotomy procedure, the long head of the biceps tendon is released from its attachment in the shoulder joint, thereby removing the damaged, inflamed tissue by releasing it from the joint. While it is a quick and simple arthroscopic procedure, it may lead to weakness, discomfort, and a bulging in the biceps muscle. Tendodesis is the preferred treatment, especially in physically active patients. Arthroscopic superior labrum anterior and posterior (SLAP) tear repair: A SLAP tear is an injury to the labrum of the shoulder, which is the ring of cartilage that surrounds the socket of the shoulder joint. In this type of injury, the top (superior) part of the labrum is injured. The top area is also where the biceps tendon attaches to the labrum, so it can also be impacted. A SLAP tear occurs both in front (anterior) and back (posterior) of this attachment point. Surgery includes removing the torn part of the labrum, or reattaching the torn part using stitches. Some SLAP injuries require cutting the biceps tendon attachment. Arthroscopic rotator cuff repair (single row/double row), rotator cuff tendonitis and tears: The rotator cuff is the name for a group of four muscles and the tendons that surround the shoulder joint. The rotator cuff is frequently irritated in athletes who repetitively throw, resulting in tendonitis. Rotator cuff tears often begin by fraying. As the damage worsens, the tendon can tear. When one or more of the rotator cuff tendons is torn, the tendon no longer fully attaches to the head of the humerus (upper arm bone). Minimally invasive surgery repairs the tear and can reduce the swelling and irritation causing tendonitis. Subacromial impingement is a condition in which the rotator cuff tendon becomes pinched in a small area of the shoulder. If anti-inflammatory medication and physical therapy are ineffective, this is an option. The procedure is usually performed on an outpatient basis under local anaesthesia and the tendon is decompressed to relieve the pain. This procedure, also known as distal clavicle resection, relieves shoulder pain by removing a small part of the clavicle (collar bone). Patients suffering from painful inflammation, swelling, or osteoarthritis in the acromioclavicular (AC) joint may elect to have this procedure, especially if alternative solutions like physical therapy and cortisone injections have proven unsuccessful. Frozen shoulder causes the capsule surrounding the shoulder joint to contract and form scar tissue. If physical therapy has not provided relief, this procedure may help. It is a minimally invasive procedure in which adhesions in the shoulder are released to restore movement of the joint. The supra-scapular nerve extends from the spine and supplies sensation to the shoulder joint and surrounding tissues, and powers the rotator cuff. Its location makes this nerve particularly susceptible to injury. The suprascapular nerve can be stretched to extremes through motions used in overhead and repetitive sports. It may also be compressed or pinched by anything that reduces the nerve space, including tumours, bone fragments, or SLAP tears. Minimally invasive surgery is effective in decompressing the nerve, providing pain relief and improved motion. Arthroplasty may be necessary for traumatic injuries that damage the bones of the shoulder, but is most commonly used to treat arthritic conditions where there is bone-to-bone contact. During this procedure, damaged parts of the shoulder are removed and replaced with artificial components. Surgical treatment of arthritis of the shoulder is generally very effective in reducing pain and restoring motion. An estimated 97% of patients report satisfaction with shoulder replacement surgery. For individuals experiencing the following symptoms, shoulder arthroplasty may be the best option. Shoulder surgery is highly technical and patient-specific. Health City Cayman Islands offers a diverse range of surgical options and implantable prosthetics. This is also called shoulder replacement surgery. Both the head of the ball called the humeral head and shallow socket joint called the glenoid are replaced. A plastic cup-shaped device is fitted into the glenoid, and a metal ball-shaped device is attached to the top of the humerus. This is a shoulder replacement in which the broken head of the upper arm bone is replaced with an artificial joint and the fractured bone is reconstructed around the artificial joint. This procedure is commonly used for patients who suffer from arthritis pain and damaged bone around the shoulder. The surgeon removes the damaged bone in the shoulder and smooths the ends. Then a rounded joint piece is attached to the shoulder bone and a cup-shaped piece is used to replace the top of the upper arm bone. In select patients including those with rotator cuff arthropathy, this is the best approach for restoring overhead motion of the arm, alleviating pain, and restoring overall shoulder joint functioning. Health City Cayman Islands provides exceptional patient-centric, affordable orthopedic care designed to help restore normal function of the shoulder joint that has been impacted by disease or injury. Our facility is accredited by Joint Commission International, with a superb orthopedic team that utilises evidence-based techniques and cutting-edge medical devices to promote optimum patient outcomes. From the repair of rotator cuff injuries to total shoulder arthroplasty, our team is dedicated to restoring your shoulder function and enabling you to resume an active lifestyle. Have us contact you today. 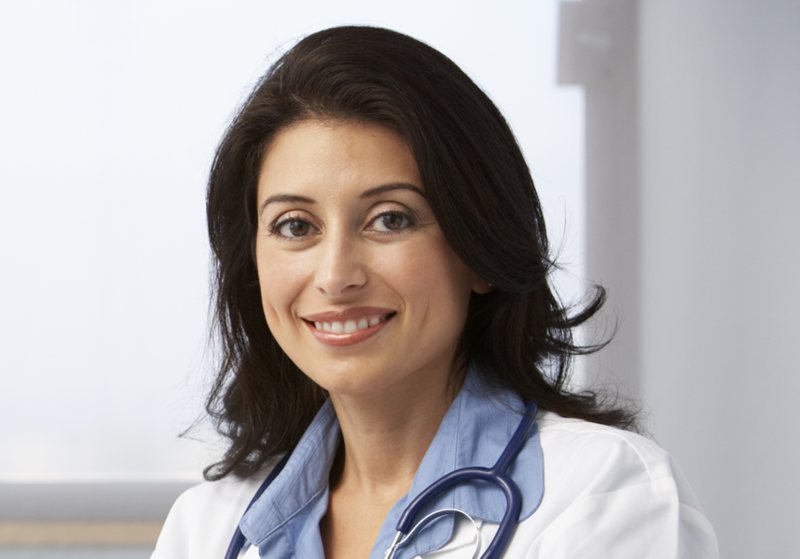 Our world-renowned physicians will personally review your medical history, answer questions & provide a comprehensive report that can be shared with your doctor. Please call us at 1 (345) 640-4040 or fill out our simple contact form to receive personalized information about the orthopedic services we offer for knee conditions and injuries at Health City Cayman Islands.